I have a small confession to make: I love the study of human anatomy. Always have. It was studying human anatomy and physiology that made me shift my undergraduate degree at Gordon College away from Biology and into Movement Science (which has now become Kinesiology. Who would have known that years later, Movement Science would have been the coolest name for a major ever? Am I right, fellow PTs?). The human body is fascinating and incredible. So, it should come as no shock to you that I have favorite muscles. In PT school, my favorite muscles were the ones with the most fun names, like the Gemelli brothers (who are small hip external rotators) or Sartorius (a thigh muscle—best, if sung to the tune of “Notorious“). Of course, you know that now the pelvic floor muscle group ranks pretty high on that list, but the diaphragm … well … it just takes the cake. Here are some of the reasons why the diaphragm really is so cool. 2) The diaphragm helps to mobilize the ribs, lumbar spine and thoracic spine. The diaphragm attaches to the first, second and third lumbar vertebrae, the inner part of the lower six ribs as well as the back of the sternum at the xiphoid process. The central tendon of the diaphragm then attaches to the third lumbar vertebrae. During inhalation as the diaphragm flattens to allow the lungs to fill with air, the diaphragm will “pull” slightly on each of those attachments, effectively giving you a gentle mobilization. The ribs will also move during inhalation and exhalation to allow space for the lungs to fill. Think about this the next time you practice yogic breathing! 3) The diaphragm is a key member of a team of muscles that help to create dynamic postural stability. The diaphragm works together with the pelvic floor muscles, abdominal muscles (transverse abdominis) and low back muscles (multifidus) to pre-activate and provide support to the body during movement. Together, these muscles make up our “anticipatory core” and are important muscles for healthy pain-free movement patterns and yoga pose sequences. Now, no post on the diaphragm would be complete without an excellent video explanation by Julie Wiebe, PT, who is amazing and has done so much to help advance the understanding of dynamic stability in PT practice. 4) Retraining proper firing of the diaphragm can help to reduce urinary incontinence AND low back pain. Now, that is pretty cool, right? Excellent research by Paul Hodges and colleagues has shown altered firing patterns of the diaphragm in people with low back pain or urinary incontinence. Amazingly, when people re-established proper firing of the diaphragm leading to full excursion, both low back pain and bladder problems reduced. This is likely due to the relationship between the pelvic floor and diaphragm in controlling intra-abdominal pressure within the abdomen and the pelvis. Proper breathing helps to restore the optimal pressures needed to control movements and support the pelvic organs. This relationship is so huge that problems with breathing and incontinence are more correlated with low back pain than obesity and physical activity. 5) Slow breathing with the diaphragm can calm down the nervous system. The breath is connected to the autonomic nervous system. When a person is fearful or anxious, the sympathetic nervous system (fight or flight response) is activated, and a person will take quick shallow breaths to bring oxygen to the muscles as quickly as possible (think: being chased by a bear). The parasympathetic nervous system (rest and digest) is activated when in a more calm or relaxed state (yes, I am oversimplifying all of this). In that state, a person will take slow calm breaths (think: sipping a cup of tea after a great massage). The cool thing is that we can use our breath to help us move toward a more relaxed state. Have you noticed this at the end of yoga class, when you're doing Savasana? Slow breathing will help calm stress, anxiety and promote a person being in a more parasympathetic state. And guess what? There’s an app for that! The Breath2Relax app for iphone/android allows a person to program in his or her breath and then takes you through a guided breathing exercise. 6) Slow breathing with the diaphragm can reduce pelvic pain. As we discussed previously, the pelvic floor and diaphragm are coordinated and work together to control pressures through the pelvis. As the diaphragm is activated during inhalation, the pelvic floor relaxes to accept the contents of the abdomen/pelvis. As we exhale, the diaphragm returns to its rested position and the pelvic floor activates slightly. Long, slow breaths then encourage complete relaxation of the pelvic floor and thus can help decrease pain for people with tender pelvic floor muscles. So, there you have it! 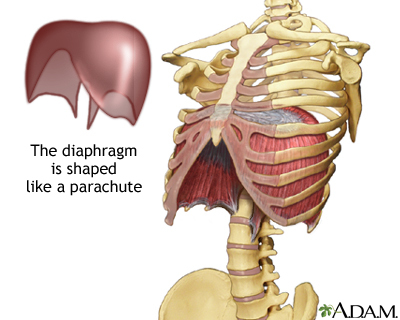 I bet the diaphragm just moved up a few notches on your favorite muscles list (you know you want one!). Want to Learn More about Healthy Breathing in Yoga? Jessica Reale, PT, DPT, WCS is a board-certified specialist in Women’s Health and treats pelvic floor disorders in men, women and children at One on One Therapy in Atlanta, GA. She received her doctorate in physical therapy (DPT) at Duke University School of Medicine and was the director of the largest pelvic floor rehabilitation program in South Carolina prior to relocating to Atlanta in 2015. Jessica is passionate about helping her patients achieve optimal health through individualized treatment plans integrating the most current research. She is actively involved in educating the community and other professionals, and has lectured at support groups, conferences and universities. 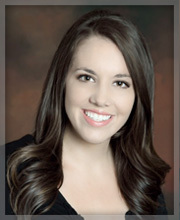 Jessica writes regularly about all issues related to pelvic health at her blog, www.jessicarealept.com.